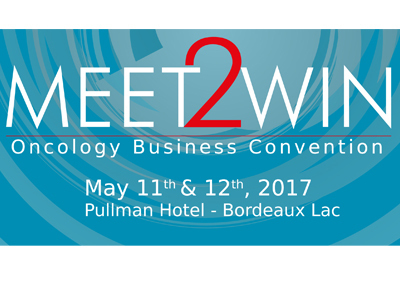 4P Pharma’s CEO, Revital Rattenbach, and our business developer Luigi Formicola, will be attending the upcoming MEET2WIN Oncology Business convention in Bordeaux, May 11-12th 2017. 4P-Pharma develops innovative drugs notably in the oncology field. We partner with academic institutions, TTOs, and biotech/pharma companies, our adaptative collaborative on a co-share co-risk model. Contact us via the partnering platform to schedule a meeting and discuss collaboration opportunities.